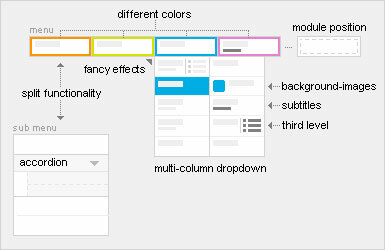 YOOtheme template - December 2009. 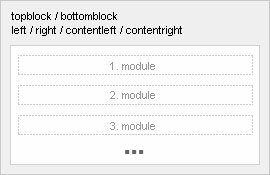 The Explorer template features really extensive themed variations for different purposes and different font-faces using CSS3. 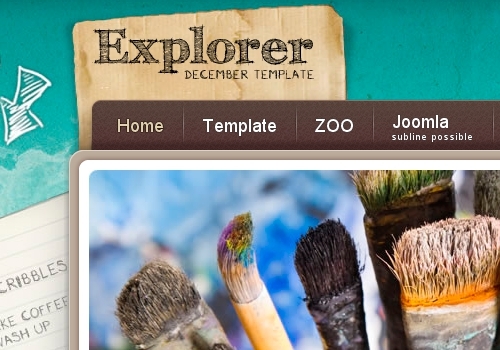 Like all their latest templates, Explorer is based on the Warp5 Joomla template framework. It provides you with great looking variations for websites about Adventure trips, Traveling, Vacations, Sports and Blogging. 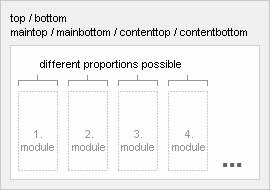 Further to provide a overall consistent layout, every variation comes with it's own style for the modules. So make sure to check out every single template variation! 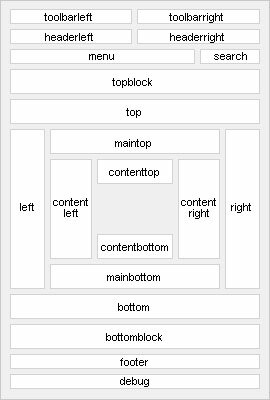 This template also features a large top module position to publish your pictures or promotional content, e.g. in a YOOcarousel. In Explorer, they used one of the great new features of CSS3, the font-face rule. With font-face you can enhance your website by using your favorite font. Just have a look at the article- and module headlines of this site. They also included different fonts for the templates variations.